Let this gift inspire good feeling and a fresh outlook with all the ingredients for a great day. Enjoy Sumatra coffee, caffe Verona or Starbucks delicious house blend in your personal Starbucks logo ceramic mug. 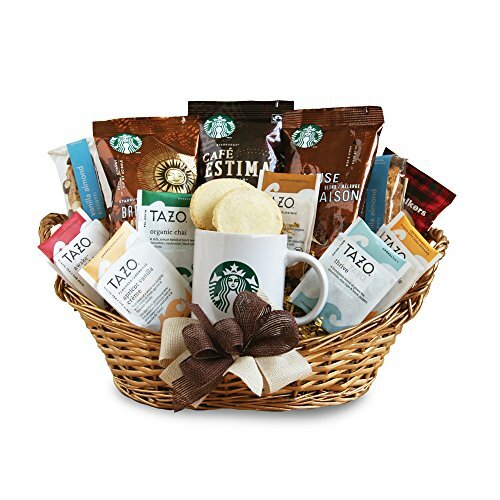 For quieter moments, brew from this assortment of tazo teas and enjoy with biscotti and shortbread cookies. A winning combination. Let this gift inspire good feeling and a fresh outlook with all the ingredients for a great day.